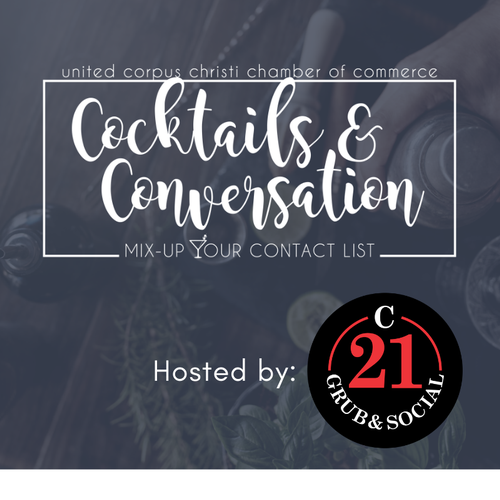 Join the United Corpus Christi Chamber of Commerce for Cocktails & Conversation hosted by C21 Grub and Social. You don't want to miss this signature speed-networking event complete with complimentary hors d'oeuvres, a cash bar and the opportunity to generate new business contacts. Pro Tip: Bring lots of business cards! Free to all UCCCC members; due to the nature of this event, RSVP is strictly required. Please RSVP online or email gargi@unitedcorpuschristichamber.com!